Villa la Estancia is an exclusive community consisting of 158 luxury condominiums offering fractional as well as full ownership condominiums. 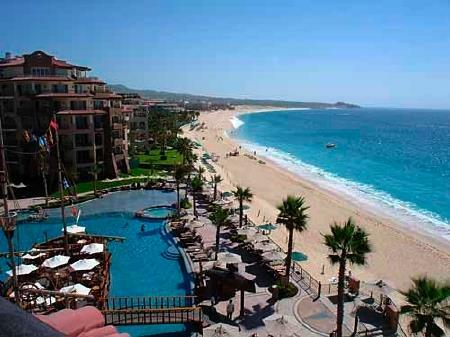 Villa la Estancia is located on the most popular beach in Cabo San Lucas, Medano Beach. If you prefer the fractional method, you can purchase as little as a three-month share. Fractional ownership should not to be confused with time-share; this is a co-ownership purchase with title, where as timeshare offers you “the right to use” for a certain number of years. The condos at Villa la Estancia come in two-bedroom, three-bedroom, and penthouse styles. A long list of amenities include whirlpool tubs, concierge and housekeeping services, a laundry service, security and medical staff, tennis courts, business center, gym facilities, spa treatments, grocery store, shopping center, five-star restaurants, and in room chef services are available. In addition, Villa La Estancia has one of the largest pools in Cabo San Lucas, with a swim-up bar, waterfalls, and Jacuzzi. You can enjoy lunch or dinner out by the pool or on the beach, and there are several restaurants to choose from on the property. While the Villa La Estancia is a great place to relax by the beach, there are plenty of other things to do as well. The concierge service can arrange snorkeling trips, sailing and sunset cruises, horseback riding, Golf, sport fishing, scuba diving, whale watching, and many other off-site activities. 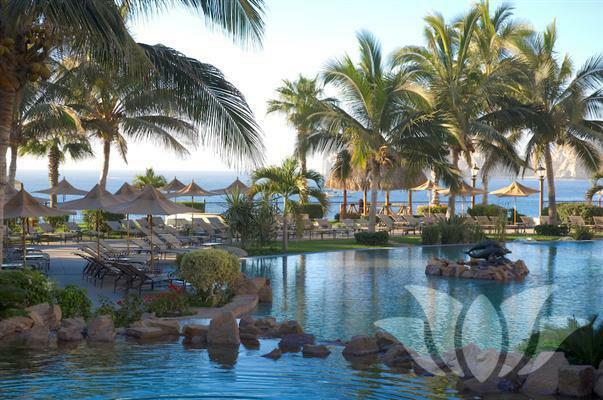 Villa la Estancia is conveniently located about 5 minutes from downtown Cabo San Lucas. There are always taxi’s waiting outside the lobby so it’s easy to get into down and enjoy the many great restaurants, shopping and night life that Cabo San Lucas has to offer. If you buy a Condominium at Villa la Estancia, you can rent it to other vacationers. Each villa can be locked off into two separate units, so you can rent even while you’re staying there. 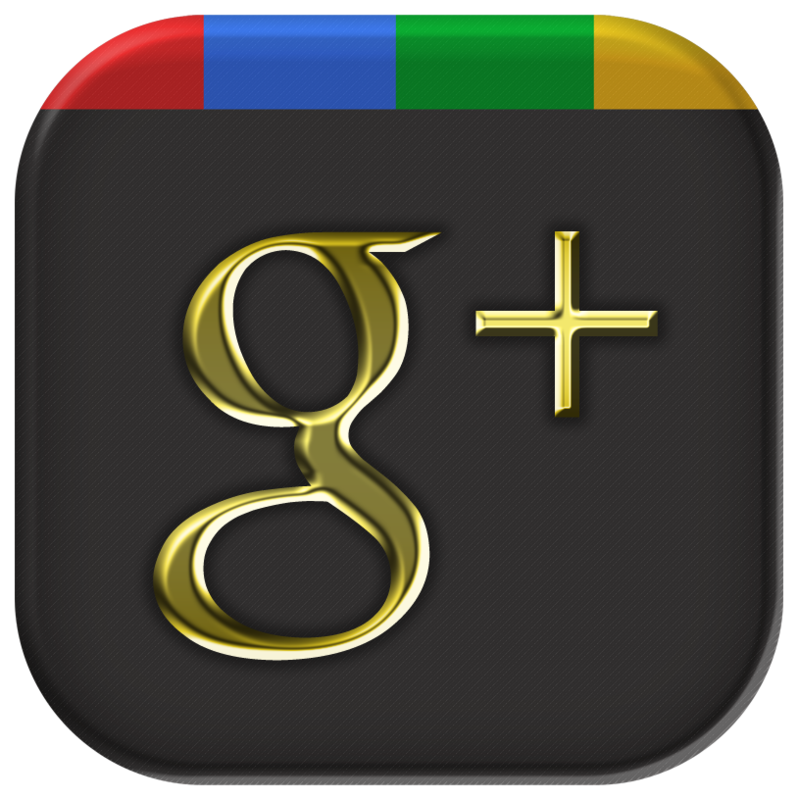 This can be a great way to make your purchase more affordable and even profitable. The Villa La Estancia is one of the most luxurious projects in Cabo San Lucas. Whether you’re looking for a vacation home, a rental property, or just a few days in paradise, Villa La Estancia is worth taking a look at. 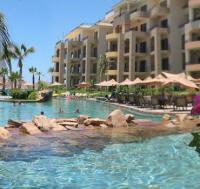 For the latest informaiton on property available at La Estancia, click on the link below.